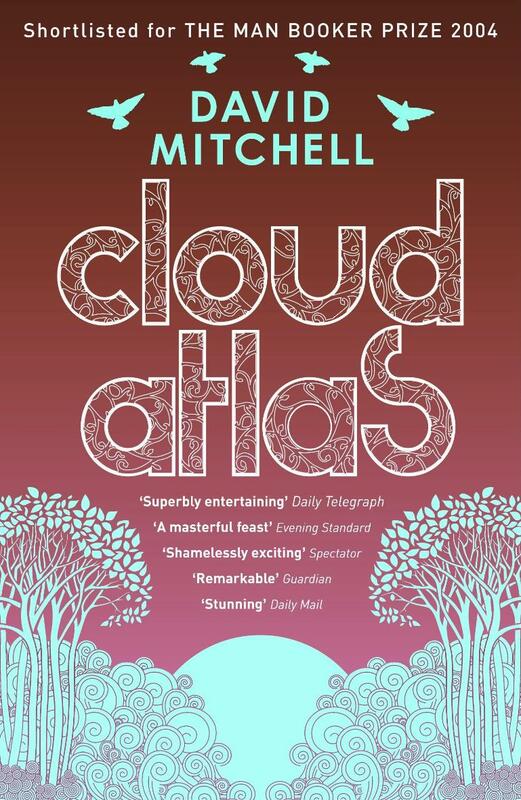 David Mitchell’s ambitious third novel, Cloud Atlas, is the literary equivalent of a set of Russian Dolls. In structuring the novel as a series of nested stories, Mitchell painstakingly takes each layer of the Doll carefully apart before trying, with more enthusiasm than expertise, to glue them back together. Mitchell’s penmanship is just about all the stories share with each other and in that diversity lays the novel’s primary allure. With settings as bewilderingly disconnected as colonial New Zealand and dystopian Korea, and with an equally varied cast of characters to boot, Cloud Atlas is really a series of short stories masquerading as a single novel – a notion that is particularly hard to dispel given that the stories each have their own tone and, incredibly, genre. That is not to say that the six stories are totally disparate but rather that there is only the thinnest of threads tying this whole endeavour together. As one might expect, the quality of the individual stories varies – occasionally within a given story itself – but it is to Mitchell’s credit that there is unlikely to be a consensus on which story is considered the worst or the best. The novel starts slowly, in a tedious Victorian tone and register, and gives the reader no impression of just where it is going. The issue isn’t limited only to the opening section either; even in the novel’s better stories, there are sections that meander and can be genuinely challenging to plough through. Despite the vague promise of an ultimate pay-off, there is little light at the end of the tunnel to motivate readers through these rough patches. Yet, those who persevere will be rewarded – the tales told in the novel’s middle are easily the more engaging and entertaining. The novel’s Inception-like structure is, by turn, rewarding and frustrating; just as one tale gathers momentum, it is derailed, only to resume its journey half a book later. Worse, when its successor begins, it is with an entirely new voice, and cast of characters. The disruption that this change creates should not be underestimated; it can take tremendous effort on the reader’s part to continue with the novel right after its tone and register is totally altered. That said, however, Mitchell’s creativity, and the ambition apparent in his novel’s conceit, ought to be recognized. Telling six different stories in a variety of formats, and across several genres, is no mean feat and even if one or two of those stories aren’t quite as gripping as the rest, one can hardly say that Mitchell didn’t give the project the effort it deserved. As is often the case with nested stories like these, the unravelling of the knot can often prove far more engaging than its tying. In the first half of the novel, which sets the various stories’ climaxes up, it seems that Mitchell has more creativity than talent. The connections linking a story to its heir, usually in the form of the previous protagonist’s legacy, seem immaterial and more like a nudge and a wink from the author than an integral part of the whole. Fortunately, Mitchell redeems himself by the end – even if the entire enterprise doesn’t quite live up to the potential of its grandiose scale. Despite that, however, it is striking how little the overall plot figures into the reader’s enjoyment of the novel. It takes a while but by the time the reader is immersed in the world of any given story, the questions of just where this sprawling inter-temporal tale is headed fade into the silent background and the characters and their struggles reign supreme. Mitchell’s characters are astonishingly similar in their bare essentials – a feat that is all the more impressive given just how little, by any measure, those characters have in common. Each character, from the intrepid journalist with a famous name to live up to the fast-food waitress learning how broken her world is, has an impossible situation to deal with and thus, an incredible struggle ahead of them. Power sits in the centre of each story; its acquisition, its retention, its disruption and its consequences. Each character’s relationship with power defines their respective stories and it is a testament to the grip of these tales that they are able to successfully survive being interrupted at their climax, before receiving the closure they deserve. In telling the individual stories, Cloud Atlas does a lot right but its lack of clear direction and occasional pacing issues do hold it back. Its biggest deficiency, however, is in its lack of a decisive, conclusive knockout punch – an ending that does the novel’s incredible scope justice, an ending that brings each story’s pain and pride together. That lack results in the reader getting the distinct impression that, in Cloud Atlas, David Mitchell might have dreamed a dream beyond his abilities.